Soaring Peaks and Challenging Play Elevate the Palm Springs Golf Experience. Famed for its unique Pete Dye design, playability and stunning visuals, this ultra-challenging course nestled at the base of the Santa Rosa Mountains features pot bunkers and rock formations, as well as incredible elevations of tee boxes and well-bunkered greens. Ascending to the top of the elevated tee box of the signature 16th enables you to fully appreciate the majesty of this course, named one of Golf Magazine’s Top 100 You Can Play. The game’s traditional Scottish roots echo throughout this Pete Dye-designed course. A great test of golf that is truly a way to hone your shot making capabilities. This course is a good trial to warm up for our TPC Stadium Course at PGA WEST. At par-72 this Pete Dye championship course is characterized by rolling Scottish-links-style fairways and thick penalizing rough. A leisurely round is punctuated by fantastic scenery and careful club selection. A dramatic left-turning fairway with a tantalizing green will tempt long hitters on the signature 17th while an insatiable lake eagerly awaits the chance to swallow the foolhardy. Walk in the footsteps of legends. Designed for golf’s biggest stage, The TPC Stadium Course—home of the Skins Game—is where legends have made history. This par-72 Pete Dye-designed jewel is a “must play” for those seeking the ultimate golf challenge. A favorite among touring professionals, and ranked among the best by Golf Magazine, Golf Digest, and Golfweek, Pete Dye crafted one of the most challenging tracks you can play; creating 18 individual masterpieces, each with a character and identity all its own. The infamous 17th tee, known as “Alcatraz” was inspired by the 17th island green at TPC Sawgrass. TPC Stadium derives its mystique from unique undulations, cavernous bunkers and peninsula and island par 3s. Tournament highlights include the Skings Game, Liberty Mutual Legends of Golf and the Bob Hope Chrysler Classic. One of Palm Springs’ best designs from a legend of the game. Palm Springs desert golf from the Down Under perspective. It’s only fitting that the Shark’s contribution to the Palm Springs golf experience should be carved from the floor of an ancient ocean. Greg Norman captured the essence of desert golf with an “Outback” flair in this challenging but fair design that features an abundance of sand, sage, colorful pockets of wildflowers, nine lakes and spectacular panoramic vistas, unmatched anywhere in the Coachella Valley. This Norman gem recently became Audubon Certified. LQ Express is a special set of tee boxes and markers set up at a distance of 3,732 yards (Mountain) and 3,886 yards (Dunes), perfect for junior and beginner golfers, as well as any adult golfer who doesn’t have time for a full round. Golfers receive a complimentary bag tag and divot tool, as well as a scorecard designed specifically for this program. Rental clubs are available and include boys, girls and left-handed clubs ranging from 41” to 63”. The golf shop has a measuring device to ensure a proper fit.The golf shop also carries the full line of U.S. Kids golf equipment, balls, gloves and apparel. PGA WEST Golf Academy offers free Junior Golf Clinics at Mountain and Dunes on all major holidays, including Thanksgiving, Christmas and Easter. LQ Express is available starting at 3 p.m. for a greens fee of $35, which covers one junior golfer and an accompanying adult, provided the adult tees from the same tee boxes. .
Morgans - Fine-dining restaurant with bar. It serves dinner and offers al fresco dining. Reservations required from November to April. La Quinta has two main pools and 41 small pools. Five championship golf courses are a five-minute walk or two-minute golf-cart ride from the resort. La Quinta Resort Dunes has been rated by the PGA as one of the toughest courses in the United States. Golf Magazine rated the 16th hole at the La Quinta Resort Mountain course as one of the 500 best in the world. 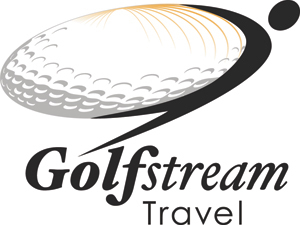 Other courses include the PGA West Stadium Golf Course, the PGA West Nicklaus Tournament Course, and the PGA West Greg Norman Course. Guests receive priority status and may book up to 120 days in advance. From classic American fare and vintage cocktails to hand-selected Wagyu beef and locally sourced ingredients, La Quinta Resort & Club and PGA WEST offer seven incredible restaurants to enjoy during your stay with us. Whatever your taste in dining, La Quinta Resort & Club and PGA WEST serves an unforgettable experience that is made to order. And for your entertainment, we’re pleased to present live music Wednesday through Sunday nights: Shannon Tanner on the Top of The Plaza from 6:30 to 9:30 p.m.; and starting October 8, enjoy the music of Ron Pass at Morgan’s in the desert from 7 to 11 p.m.
Morgan’s in the desert infuses the freshest source of ingredients found on the planet. Three-time James Beard award-winning chef and pioneer of the farm-to-table movement, Jimmy Schmidt draws inspiration from the bounty of the Coachella Valley to produce contemporary American cuisine. For classic comfort food with an imaginative twist, TWENTY6 has your number. This modern American bistro spotlights innovative approaches to familiar favorites, using locally sourced, seasonal ingredients. The relaxed atmosphere in the restaurant and the adjoining bar TWENTY6 is as fun and tasteful as the fare served for breakfast, lunch, and dinner. Famed for its award-winning tamales and signature margaritas, Adobe Grill is an authentic regional Mexican dining experience, decorated in a traditional Oaxacan motif, highlighted by a ten-foot tequila display and double sided fireplace. Let our master tequilero create a signature margarita from one of more than 100 tequilas, just for you. Whether you’re lounging by the resort’s main pool, sitting courtside at one of the tennis facility’s 23 courts, or simply relaxing after a workout or a spa treatment, the traditional American fare at Centre Court Café perfectly hits the spot. The bright and cheery yellow umbrellas create the ideal setting to enjoy plentiful snack options, burgers, and other casual meal options. Ernie’s offers a flavorful array of fresh pub fare, along with an extensive array of fine wines, hand-crafted beers and spirits in a relaxed, upscale environment. Watch the game in casual comfort or cozy up by the fire pit and take in the action on the 9th and 18th holes of the Nicklaus Tournament Course. With its low-slung ranch-style architecture and beautiful panoramic desert vistas, Wallaby’s West captures the spirit of the outback in a casual dining experience at the Greg Norman Clubhouse at PGA WEST. Enjoy fresh salads, sandwiches and other light fare in the relaxed dining room or out on the patio with the fire pit. In the early 1920s, San Francisco businessman Walter H. Morgan was drawn to a place in the California desert that dwellers in these lands had long referred to as the Land of Eternal Sun. 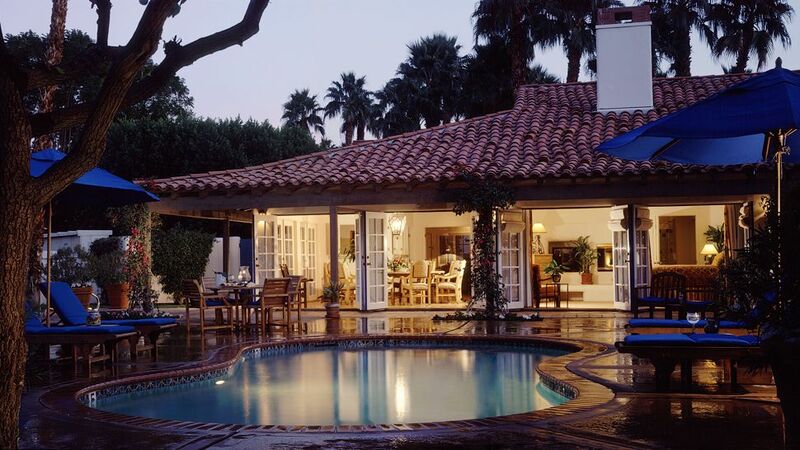 He envisioned a tranquil retreat that captured the essence of quiet hacienda-style living. Purchasing 1,400 acres from the native Cahuilla Indians, he enlisted the renowned architect Gordon Kaufman, along with scores of artisan craftsmen to make his dream a reality. From more than 100,000 hand-formed adobe bricks and 60,000 locally fired roof tiles, a small grouping of quaint casitas and a cozy dining room sprung up. Morgan called this place La Quinta. Word quickly spread among Hollywood’s elite that Morgan’s oasis in the desert was a truly relaxing escape, far from the harsh glare of the limelight and away from prying eyes. 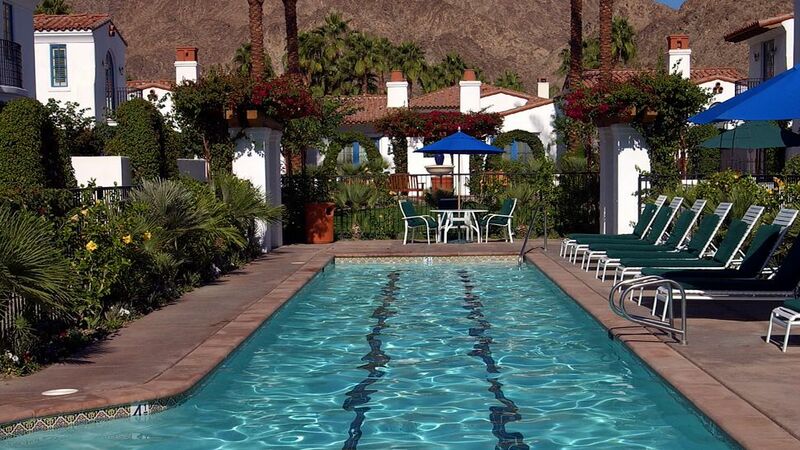 The brightest stars came, each seeking the solitude of La Quinta for their own reasons. Garbo wanted to be alone. Gable came to rollick with friends. Frank Capra found creative inspiration and returned to his “Shangri-La of Screenwriting” again and again, eventually making it his home. With time, the legend of La Quinta grew. Now a relaxed playground for championship golf, world-class tennis, fine dining and blissful spa experiences, La Quinta remains the original desert hideaway and the quintessential California resort.